Want to automate but don't know how to start? This whitepaper will light the way. Technology has revolutionized communication, finance, entertainment, and almost every area of life—and HR is no exception. Processes that were once manual and bottlenecked by human oversight of key documents are being automated at a rapid pace for boosted efficiency. However, making this upgrade can be complex. HR experts estimate that the average number of disparate systems used by an HR department is eleven. A single event such as a promotion can span multiple systems, all needing to be reconciled during the workflow to complete tasks, which can even mean getting IT involved. 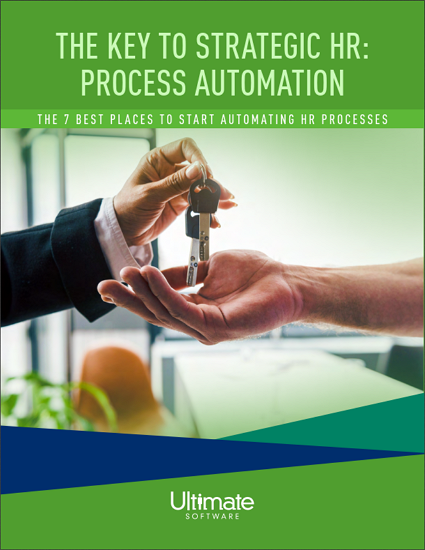 Get a firsthand look at how integrated HR service delivery can automate and optimize your most time-consuming manual processes, freeing your people up to work smarter and more strategically. Please fill out this brief form to download the whitepaper.